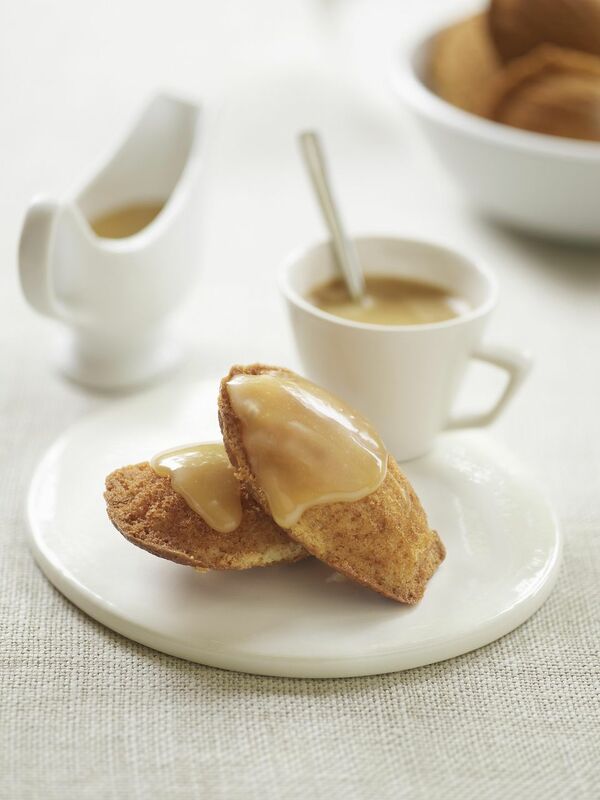 Caramel is a hot flavor in the cooking world! The combination of melted sugar and water can be made in many different ways. There are complicated caramel frosting recipes, which involve melting sugar, adding water, then beating in butter, but it's not necessary to go to all that trouble. This recipe is much easier and just as delicious. It's a modified buttercream frosting, but you melt the butter so the frosting is more dense. This is not the kind of frosting that you can pipe from a pastry bag or smooth into swirls and peaks. This recipe is more like a thick caramel sauce that is a nice brown color, that sits about 1/3" or 1/2" thick on the top of a cake or cookies, but it will set up so you can cut it. If you want the type you can pipe, make a buttercream frosting and beat in some caramel ice cream topping and some brown sugar in place of the powdered sugar. That's the best way to get a fluffy caramel frosting. You can use this delicious Caramel Frosting to frost a sheet cake or brownies or to top off granola or apple cookies. If you love the flavor of salted caramel (and who doesn't?) add a bit more salt to the recipe, or sprinkle the frosting with a bit of sea salt after you have covered the cake. In a large saucepan, melt the butter over low heat until it starts to brown, about 3-4 minutes. Watch it carefully as the butter can burn quickly. When the butter is light golden brown, add the brown sugar. Bring this mixture to a boil, stirring frequently. Boil and stir constantly with a wire whisk for 1 minute until the mixture thickens. Remove the pan from the heat and add the milk. Beat with wire whisk until smooth. Add the vanilla and beat again. Then add enough of the powdered sugar until the frosting is of desired consistency; the frosting should be pourable or it will be too hard. Pour the frosting over the cake or the cupcakes and spread gently with a knife to cover if necessary. Let cool and serve. This amount of frosting will frost a 13x9" pan, or 12 cupcakes, or about 36 cookies. To frost cookies, let frosting cool about 5 minutes, stirring occasionally, until it has thickened. Frost cookies and let sit on a wire rack until the frosting sets.